Looking for brilliant bathroom organizing ideas? 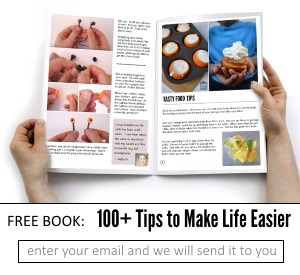 Look no further than these simple decluttering tips! Don’t let each drawer become a junk drawer. Use this easy method to get your bathroom drawers organized. With the little dividers, it gives each item a home, and you will find more success keeping items in the correct spots. If you have a vanity you know that it gets a lot of attention each day. This is a great way to get your vanity organized and still allow it to be functional for your whole family. Another problem area most homes have is cabinet organization. Here is how she got her cabinets organized, and look at how much more space there is when everything has a proper spot. 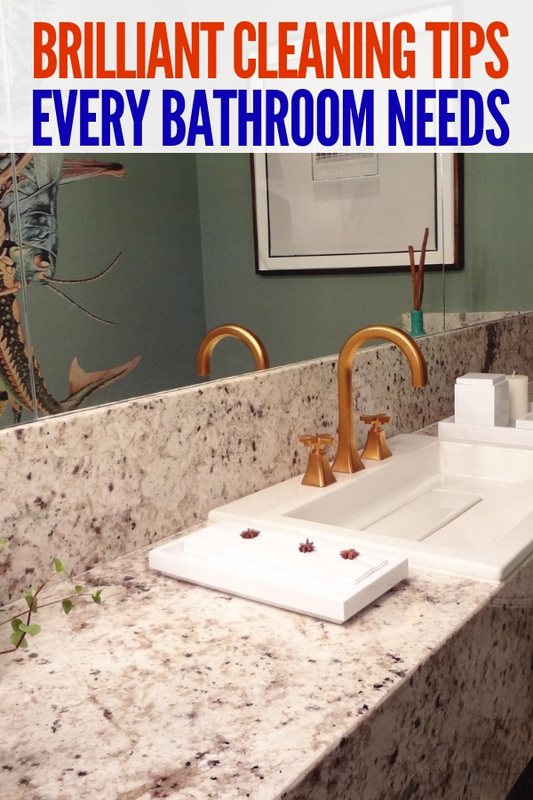 If you have a small bathroom follow these tips here. Learn how to get it organized and functional for you and your entire family. If you are unsure of what products to buy to get your bathroom organized, check out this post. She shares her favorite bathroom organizing items, and where to buy them. 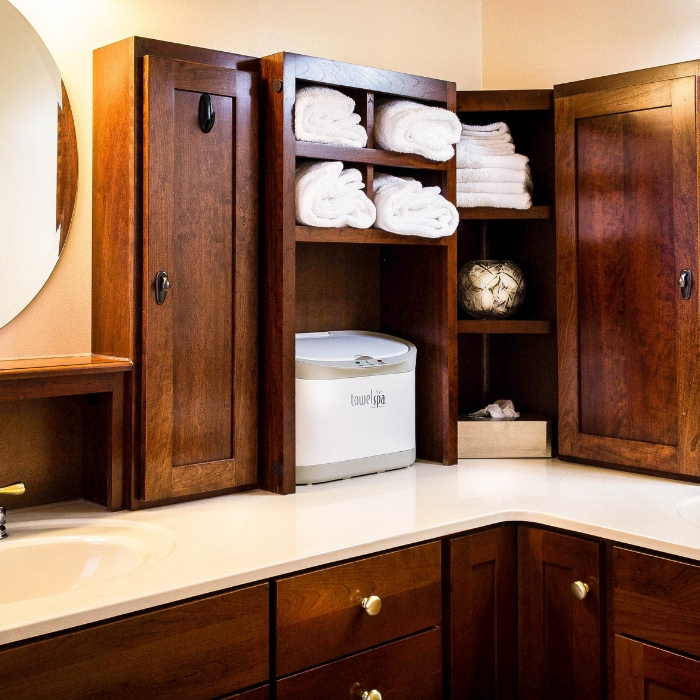 Do you have a Raskog cart in your bathroom? Since they are generally out on display, here is a great way to get it organized. Help give your bathroom the clean and tidy appearance you are going for. 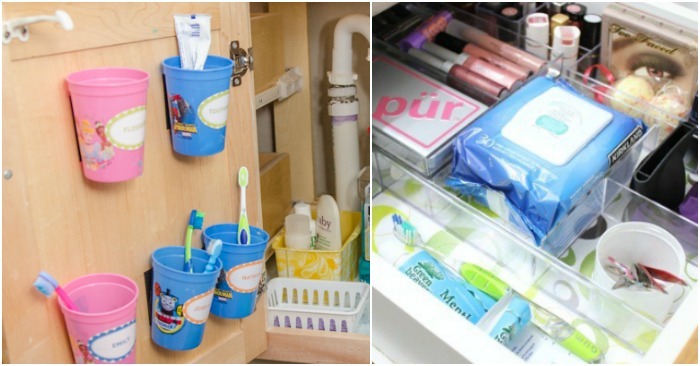 Here is a great way to keep your toothbrushes and toothpaste in the bathroom but tucked away out of sight. This is a tutorial that shows you how to hang them on your vanity door. A fun way to organize his and her items in the bathroom. One simple container for each that you can hold all your must-need supplies for your everyday use. Some homes have enough bathrooms that children get their own bathroom to share with each other. Check out how this home organizes their kid’s bathroom so it flows and each child knows where their belongings are. With these simple bathroom organizing tips, you’ll no longer dread going into that area of your home! And remember, keeping your bathroom organized takes effort on your part as well! The more that you declutter, the easier it will be. Do you have any bathroom organizing ideas to share?